Ingrid Michaelson Event home HamiltonThe PromNetworkTo Kill a MockingbirdKiss Me KateHadestownOklahoma! "Lyrically deep and musically adventurous, Michaelson has it all." 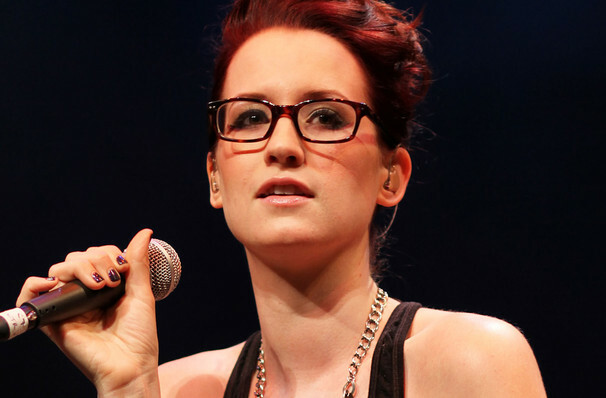 Celebrate The Holidays With Ingrid Michaelson! 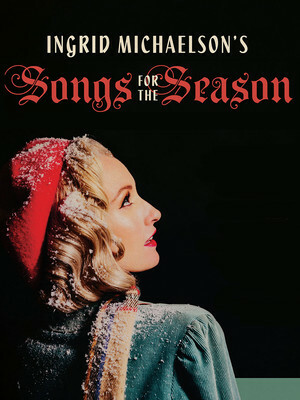 Singer, songwriter and actress Ingrid Michaelson is hitting the holiday road in support of her upcoming Christmas album, Songs for the Season. The 12 song collection features a 35-piece symphony in order to capture a 40s and 50s band vibe. Including the debut single 'Looks Like a Cold, Cold Winter', which was recently released, the album also stars duets with Leslie Odom Jr., Grace VanderWaal, Will Chase and Christina Perri. With her piano and ukulele-fuelled song writing, witty wordplay, and soothing vibrato, Ingrid Michaelson carries the tradition of the female singer/songwriter into the 21st century. Befitting a musician of the digital age, Michaelson first gained wide exposure through spots on TV soundtracks, including Grey's Anatomy and One Tree Hill, where tracks like 'You and I' and 'Be Ok' stood out for their earnest, but humorous approach. Sound good to you? Share this page on social media and let your friends know about Ingrid Michaelson at Beacon Theater. Please note: The term Beacon Theater and/or Ingrid Michaelson as well as all associated graphics, logos, and/or other trademarks, tradenames or copyrights are the property of the Beacon Theater and/or Ingrid Michaelson and are used herein for factual descriptive purposes only. We are in no way associated with or authorized by the Beacon Theater and/or Ingrid Michaelson and neither that entity nor any of its affiliates have licensed or endorsed us to sell tickets, goods and or services in conjunction with their events.